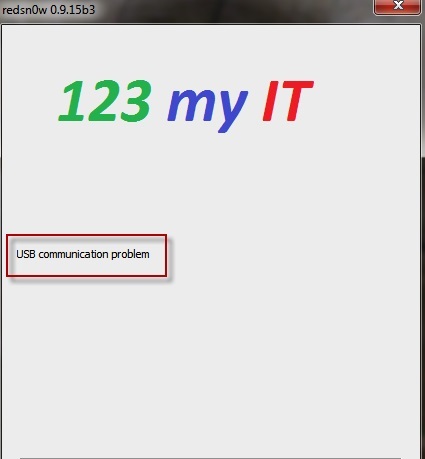 So I have been having this issue on and off with the redsn0w USB Communication Error. And I have had a few people ask me about it. In this video I will show you how to fix it. Step 2. Check your Cables. Step 3.Try a different USB port on your PC. Step 4.Try DFU mode again. Step 5.Disable your virus scanner. Step 6.Close any open programs or web browsers on your PC. Step 7.Check your device manager and make sure the USB driver is installed correctly and doesn’t have a ! next to it. Step 8.Try an earlier version of Redsn0w. Step 9.Download and use the correct IPSW firmware version for your iPhone. You can find a list of all the firmware for the iPhone here.